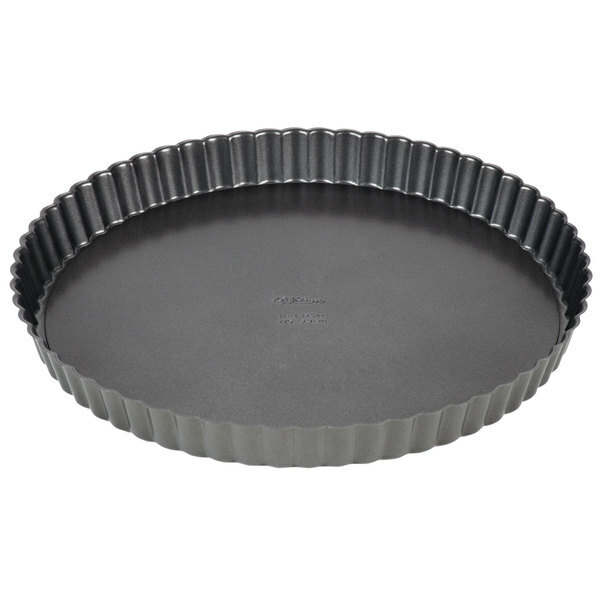 Create culinary masterpieces with this Wilton 2105-450 Excelle Elite 11" round non-stick tart / quiche pan! Whether you are creating a fruit-filled tart or flavorful quiche, this pan will help you get the job done. 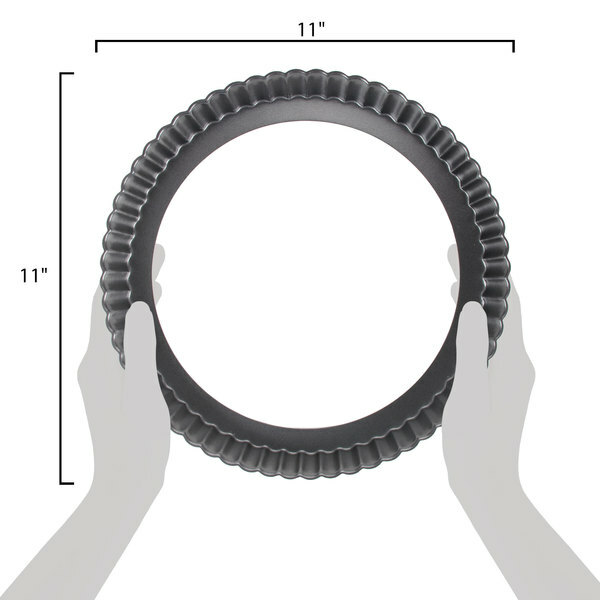 Boasting an ample 11" diameter, it allows you to make large desserts for your buffet or catered event. It even comes with a false bottom so you can simply extract your quiche or tart from the pan once it has finished baking. Made of durable steel, this pan has a non-stick coating that makes food release and clean up exceptionally easy. Its 1 1/8" fluted sides also produce neat and professional-looking pastries. An ideal addition to any restaurant, bakery, or catering kitchen, this pan is built to last and will allow you to easily bake delicious recipes for your customers. These are great! I was hesitant to purchase nonstick but have no regrets. They are the perfect size for quiche. We use in our cafe& cut each quiche into 8 pieces & the size is perfect! this is perfect from normal quiche to making giant peanut butter cups, really holds up well and is made with quality materials, we use it regularly and really like it. Sturdy and well made. Same make and design as consumer version, with slightly sharper edges (but for almost half the price). Non-stick coating makes these a breeze to clean up! 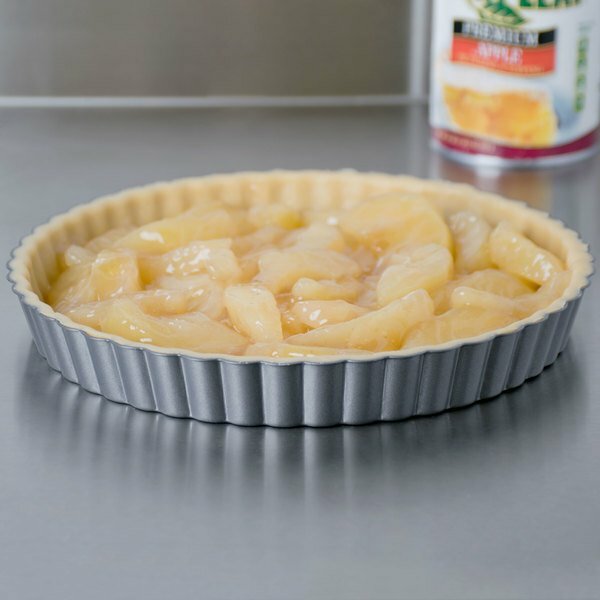 We love this tart pan! Great size, easy to clean, sturdy. Highly recommended for tarts and quiche. 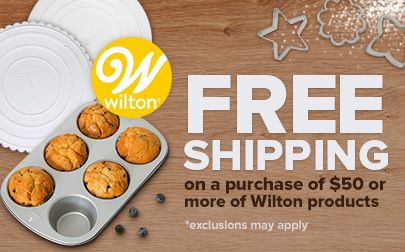 Wilton does a great job with their products. I love this pan! It really is a non stick. The tarts I have made in it slide right off the base once they've been baked. This is a super tart pan. It's heavy duty, seals well, and the non-stick surface actually works. I make tarts all the time and have had so many problems getting it out of the pan until this pan came along. Can't beat the price either. This non-stick tart pan can be used for a variety of different tarts, and also delicious quiches. 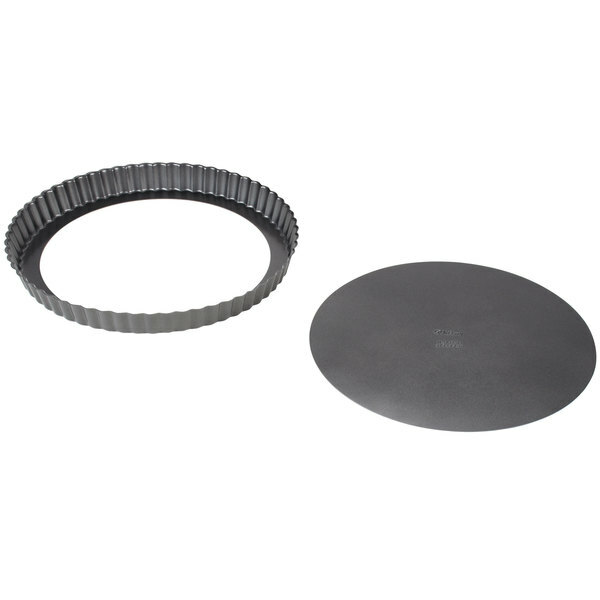 I love tarts because they are so easy to assemble, especially when using this type of tart pan.